Productivity and efficiency are two of the key goals of any business enterprise. But they are two very different things and often compete with each other. Improved productivity can come at the expense of efficiency and improved efficiency can reduce productivity. But what is the difference between them? Put simply, productivity is the quantity of work produced by a team, business or individual. Efficiency, on the other hand, refers to the resources used to produce that work. So, the more effort, time or raw materials required to do the work, the less efficient the process. Efficiency can also refer to the quality of the output. Producing 100 widgets an hour may look good on a productivity spreadsheet, but it’s not very efficient if half of them are rejected because they don’t meet quality standards. The goal is to maximize both productivity and efficiency, or to produce the maximum possible, highest quality output using the fewest resources. Doing that means planning carefully and organizing resources so that they are available when they’re needed. An example would be a production line where each product arrives at a workstation just as the previous one has left. If it’s too early, it will have to wait, creating a bottleneck and if it’s late, that station will be idle for a period, which is inefficient. In an office environment, we have a set amount of time each day to achieve the outcomes we want and so we have to use the tools that will not only allow us to get more done, but to make sure we’re using out time effectively. Fortunately, there are lots of apps that can help do just that. Here are just a few of them. In order to understand how efficiently we’re working, we have to be able to measure how much time we spend on a task. Timing allows us to do just that. It monitors how you use your Mac, recording how much time you spend using apps like Safari, Photoshop and Coda, to name but a few. It then categorizes the time spent so you can quickly see how much time you’ve spent, say, on social media, web browsing, coding, or image editing. You can create projects and drag elements into them. So, for example, if the four hours you spent in Photoshop today was on a specific project, just drag the timing onto it. Timing will then show you how much time you’ve spent on that project. If you create projects for specific clients, it will show you how much time you’ve spent working for a particular client, making it easy to bill them at the end of the month. The app also allows you to manually record how much time you spend on tasks. 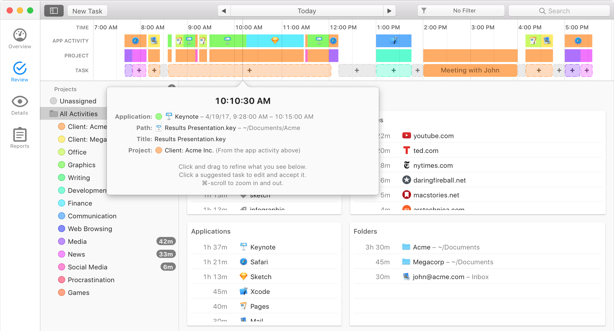 By using Timing to monitor how you spend time on your Mac, you can easily cut out less productive tasks and focus on those that contribute towards results. Getting started in the morning can take a quite a while. By the time you log on to your Mac and then launch all the apps, open folders and find documents for a project, half an hour can pass. 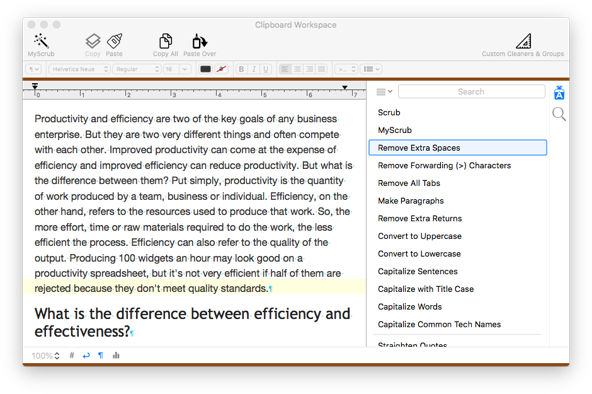 Workspaces cuts that time by remembering where everything you need for specific projects is located. 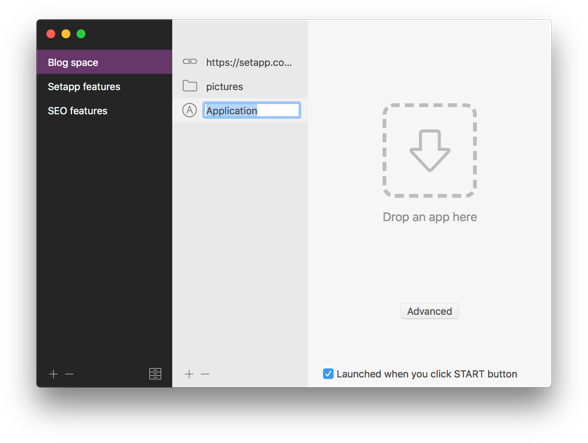 Click on its menu bar item, select the project you want to work on and Workspaces will open everything you need to get started without you having to lift another finger. If it saves 15 minutes every time you switch to a different project, that could easily amount to several hours a week. If analysis of the results of using Timing shows that you’re spending too much of your time on social media or on other distractions, Focus can help you with that. Focus allows you to block access to apps like Twitter or to specific websites, like Facebook. You can schedule when it runs, so that apps and websites are only blocked during working hours. And a progress tracker shows you when sites have been blocked. If you use a large screen display and have lots of windows open at once, you’ll know that they can become a distraction and reduce your productivity. 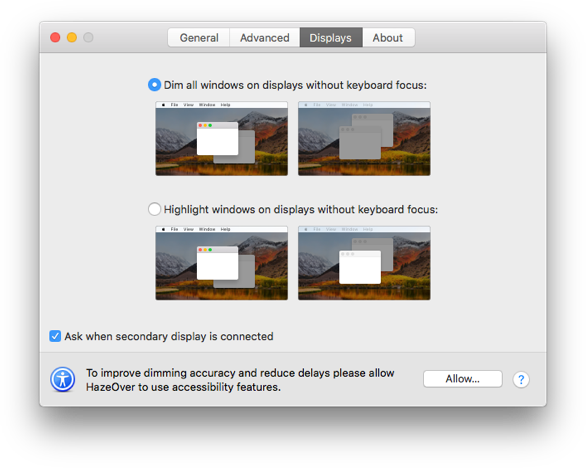 One solution is HazeOver, a tool that dims all but the active window on screen. When you switch applications or windows, HazeOver switches too and highlights the new window while dimming the rest. It even supports multiple monitors. A cluttered desktop is a real problem when it comes to working efficiently. Not only does it take time to locate the file you want to use, but it actually makes your Mac run more slowly. 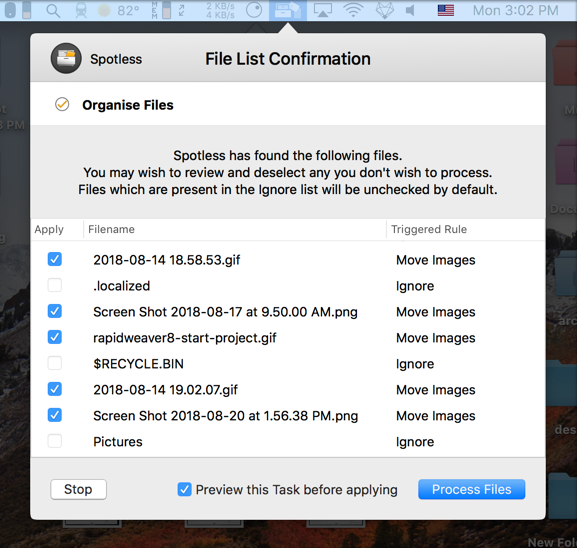 Spotless makes it easy to keep your Desktop and the rest of your Mac, well, spotless. Spend a little time teaching it how you work and then all you have to do is drag files onto its icon and it will file them away for you automatically. You can set it to run automatically so, for example, documents you haven’t opened for a set period of time are automatically backed up and then deleted. You’ll be working faster in no time. One thing that makes us all less efficient is spending time manually doing tasks that could be automated. Take cleaning up text, for example. Every minute you spend stripping out unwanted characters and tidying up text sent by a client or colleague is a minute you could be working on something productive. That’s where TextSoap comes in. TextSoap cleans up text for you according to parameters you set. It has over 100 built-in ‘cleaners’ and allows you to build and customize your own. You can also group cleaners and deploy them with one click. There’s no need to spend time cleaning up text! As you can see, getting the productivity v efficiency balance right doesn’t have to be difficult. You can have both. The key is to use tools and applications that make it easy to be organized and focused.